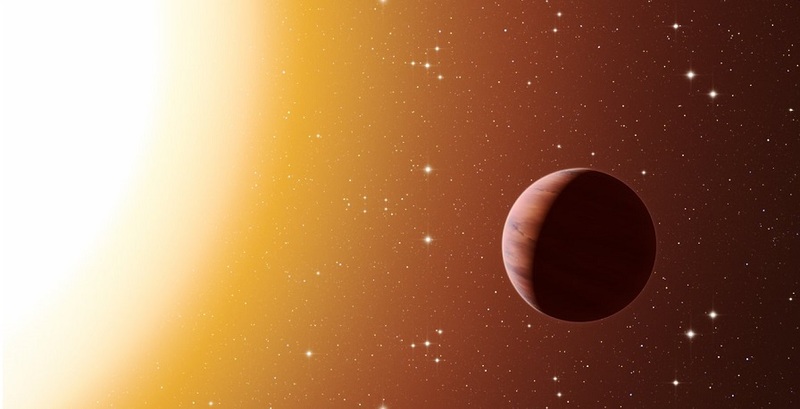 An international team of astronomers have found that there are far more planets of the hot Jupiter type than expected in a cluster of stars called Messier 67. This surprising result was obtained using a number of telescopes and instruments, among them the HARPS spectrograph at ESO’s La Silla Observatory in Chile. The denser environment in a cluster will cause more frequent interactions between planets and nearby stars, which may explain the excess of hot Jupiters. A Chilean, Brazilian and European team led by Roberto Saglia at the Max-Planck-Institut für extraterrestrische Physik, in Garching, Germany, and Luca Pasquini at ESO, has spent several years collecting high-precision measurements of 88 stars in Messier 67. This open star cluster is about the same age as the Sun and it is thought that the Solar System arose in a similarly dense environment. The team used HARPS, along with other instruments, to look for the signatures of giant planets on short-period orbits, hoping to see the tell-tale “wobble” of a star caused by the presence of a massive object in a close orbit, a kind of planet known as a hot Jupiters. This hot Jupiter signature has now been found for a total of three stars in the cluster alongside earlier evidence for several other planets. A hot Jupiter is a giant exoplanet with a mass of more than about a third of Jupiter’s mass. They are “hot” because they are orbiting close to their parent stars, as indicated by an orbital period (their “year”) that is less than ten days in duration. That is very different from the Jupiter we are familiar with in our own Solar System, which has a year lasting around 12 Earth- years and is much colder than the Earth. Astronomers think it highly unlikely that these exotic giants actually formed where we now find them, as conditions so close to the parent star would not initially have been suitable for the formation of Jupiter-like planets. Rather, it is thought that they formed further out, as Jupiter probably did, and then moved closer to the parent star. What were once distant, cold, giant planets are now a good deal hotter. The question then is: what caused them to migrate inwards towards the star? There are a number of possible answers to that question, but the authors conclude that this is most likely the result of close encounters with neighboring stars, or even with the planets in neighboring solar systems, and that the immediate environment around a solar system can have a significant impact on how it evolves. In a cluster like Messier 67, where stars are much closer together than the average, such encounters would be much more common, which would explain the larger numbers of hot Jupiters found there. This research was presented in a paper entitled “Search for giant planets in M67 III: excess of Hot Jupiters in dense open clusters”, by A. Brucalassi et al., to appear in the journal Astronomy & Astrophysics.